Our easy-fitting stretch denim with slightly lower contoured waistbands takes a modern shape in this must-have midi. 5-pocket styling. Functional fly front and belt loops. Back vent. 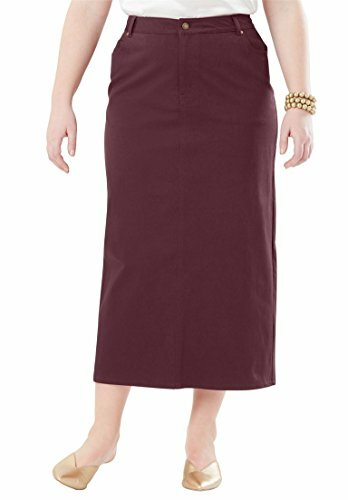 36" length Cotton/poly/spandex Machine wash; imported Style & Fit Tips: The A-line silhouette of this modern denim midi gives it a polished, feminine fit that looks refined on every body. Pair with anything from boots and heels to flats and sandals for a season spanning look that is perfect for many different occasions.